Poster created during the Brazilian riots that took place in June 2013. A considerable amount of the country’s population went to the streets to protest against issues like public transport, health, safety, world cup, gay marriage and abortion. 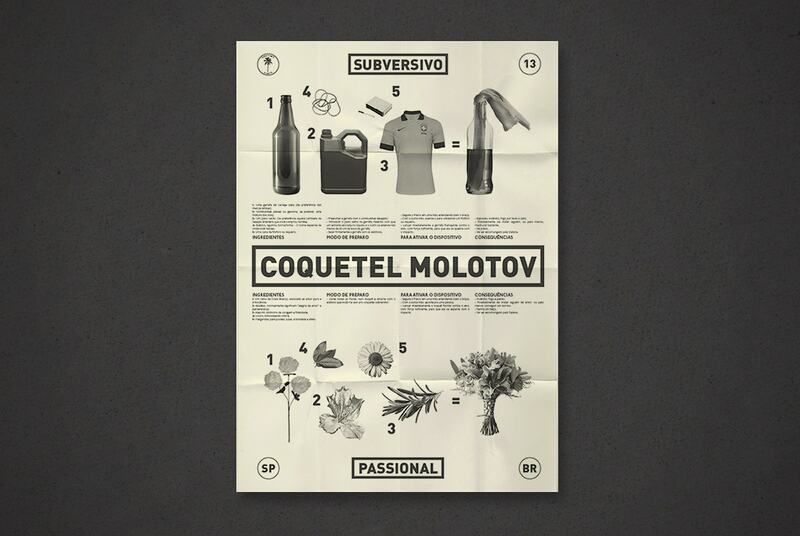 São Paulo based Meli-Melo Press made an open call to designers to submit their posters artwork so they could print them for free and distribute them on the protests. 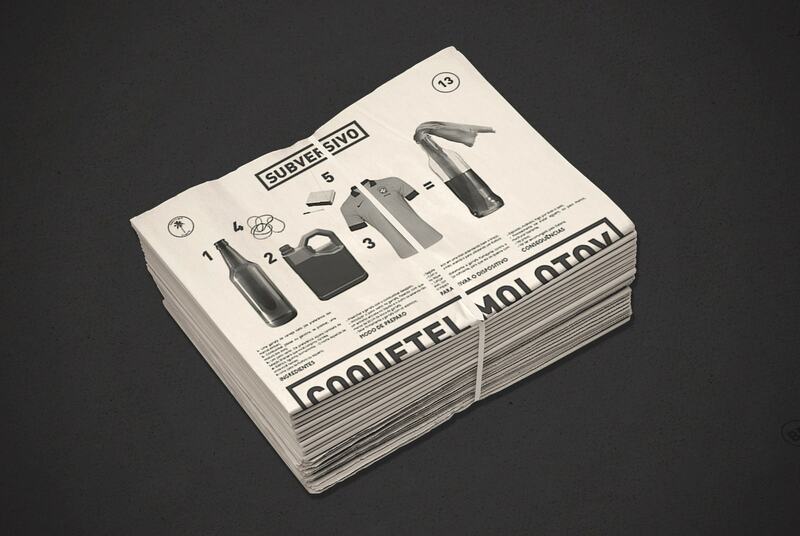 The poster created features a tutorial for two types of molotov cocktail; one subversive and the other passional. It contains sarcastic components referring to Brazilian media, politics and social characters.